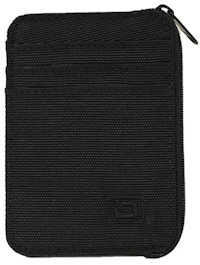 Made of water and tear resistant nylon canvas, this rugged, anti-theft slim wallet has 3 card slots on one side, an ID window with thumb hole on the other, and a zippered compartment. 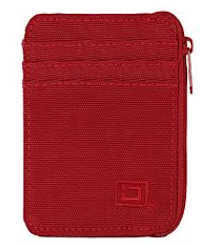 Everything about this wallet is RFID shielded and will protect against electronic pickpocketing. It starts out ultra-thin, but can expand as you add multiple cards. Perfect for a pants pocket. 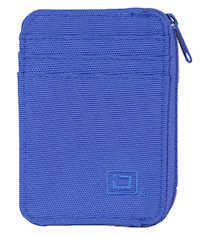 This grab-n-go mini wallet is the perfect answer to protect your credit/ID cards. 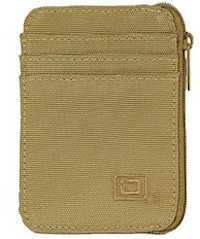 This wallet appeals to both men and women.